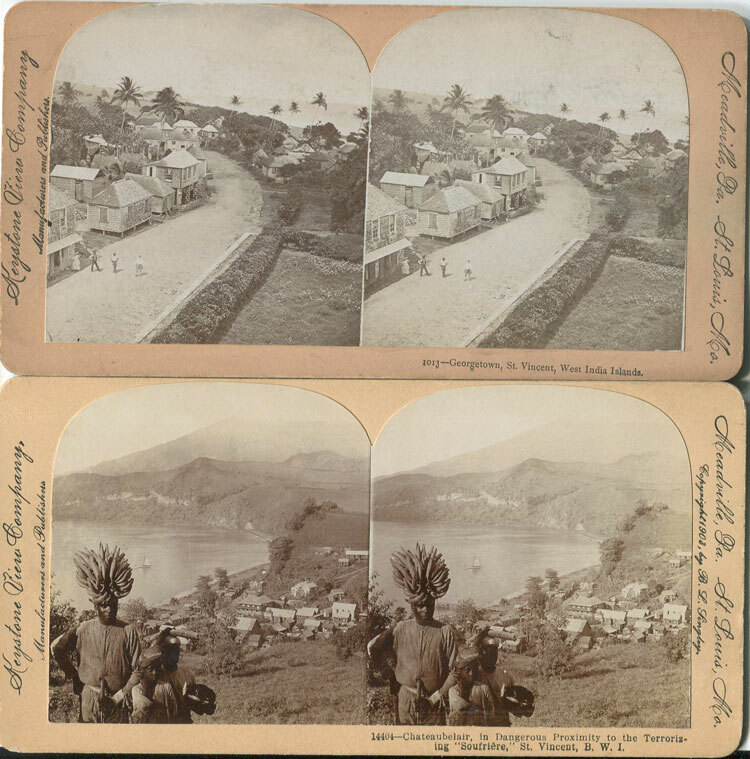 KEYSTONE VIEW COMPANY - Georgetown, St Vincent and Chateaubelair in Dangerous Proximity to the Terrorizing Soufriere, St Vincent. Two steroscope photos, circa 1904. Fine.